Indonesia, officially the Republic of Indonesia consists of an archipelago of 17,508 islands (of which some 6,000 are uninhabited), making it the world's largest island state. The word Indonesia literally means 'Indian archipelago'. With a population of more than 250 million people, it is the fourth largest country in terms of population and also the country with the largest Muslim population, although Islam is not a state religion. 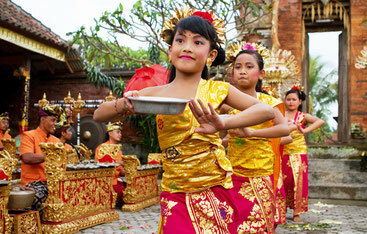 The Indonesian islands show a very varied picture of ethnicity, language and religion. The Javanese are the largest and politically most dominant ethnic group. As a country, Indonesia has acquired a common identity that is mainly defined by the national language, a Muslim majority and a history of colonization and resistance against that colonization (of mainly the Dutch). 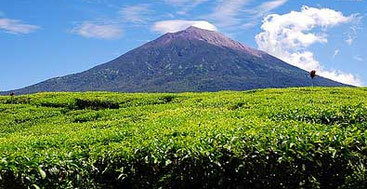 Indonesia has large natural areas and the world's second largest biodiversity. 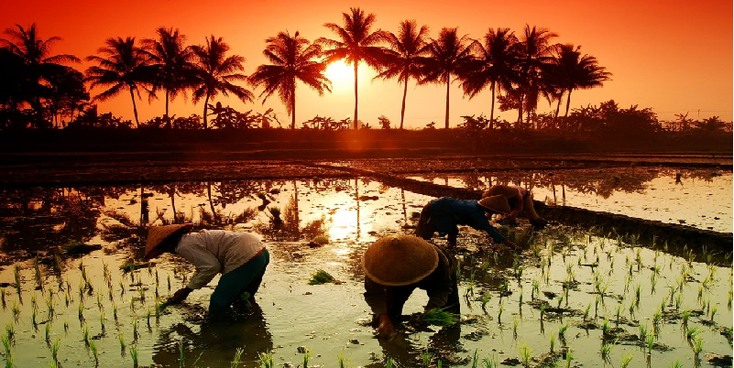 The country is rich in natural resources, although poverty remains an important characteristic of present-day Indonesia. 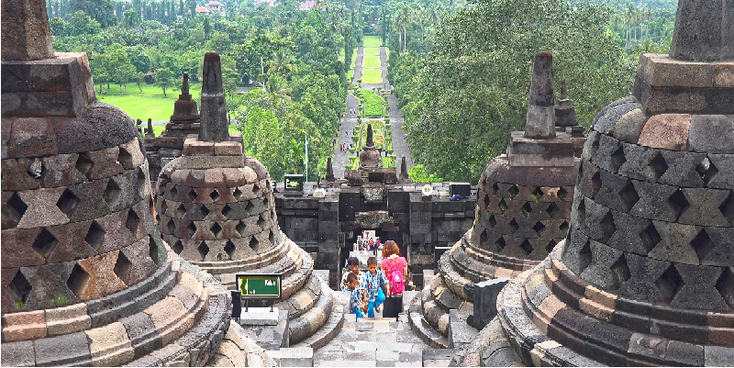 The Indonesian archipelago has been an important trade region for a long time. Already in the 7th century there were trade routes between the kingdom of Srivijaya and China. The history of Indonesia is strongly influenced by strong forces from outside that were attracted by the natural resources of Indonesia. Under the influence of India, Hinduism and Buddhism flourished in the first centuries after Christ. Islamic traders brought Islam with them and European powers fought each other for the trade monopolies in the spice trade during the time of the explorers. Eventually the country became a Dutch colony for three and a half centuries. Indonesia declared itself independent after WW2. The era of the "reformasi" after the resignation of “Suharto” has so far led to a more democratic political environment, including a program of regional autonomy and the 2004 presidential election. However, political instability, social unrest and corruption have considerably delayed the democratization process. Although the relationship between different ethnic and religious groups is generally harmonious, sectarian violence remains a problem in some areas. These often religiously tinged conflicts are often caused by an urge for independence or autonomy (think of Aceh, Papua and the Moluccas). On the one hand, people who adhere to Islam come into the country (with small boats from Myanmar where they are persecuted) and on the other hand a lot of people (with boats) leave for Australia because they think they have a better life there to be able to build on. 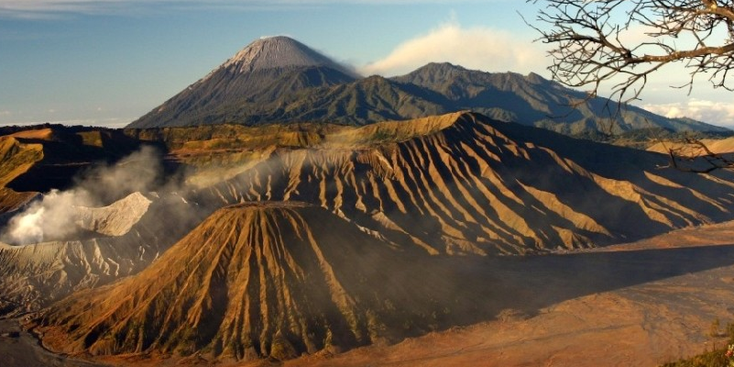 The Toba, the Tambora and the Krakatau are among the largest and most dangerous volcanoes on Earth. Due to volcanism, the fertility of the soil is very high on most islands, which together with the high temperatures and abundant rainfall allows high agricultural yield and high population density. Other common natural disasters are floods also caused by the rising water level - especially the capital Jakarta has to do with this. Finally, the burning of land in recent years is a major problem in Indonesia, but also in neighboring countries. The government is talking with the farmers to solve this in a different way.